These are so great for cloth diapered babies, IMO. 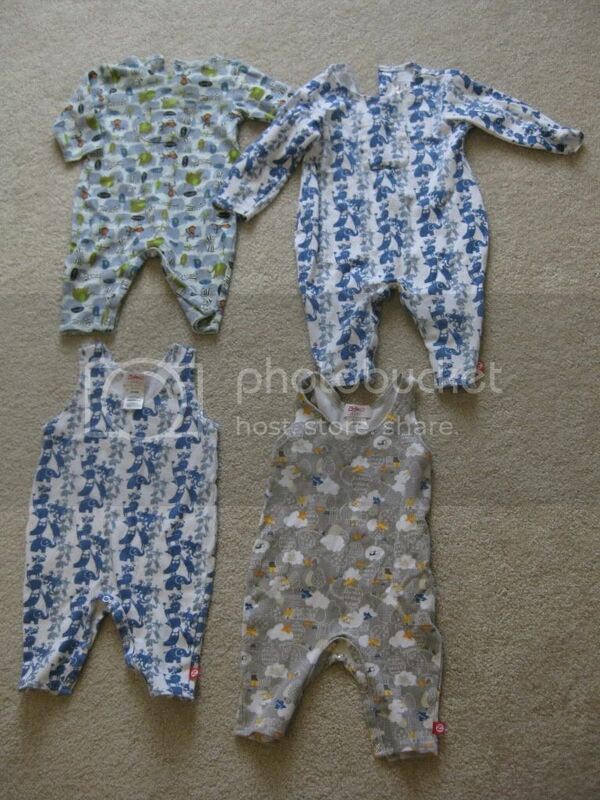 Four bodysuits, $7 each ppd These are all sized 0-3 and 0-6 months but I do think they run a little small. Very roomy in the diaper area. Gray sleeveless and white longsleeved are SOLD. OTHER 2 ARE AVAILABLE. ISO Paypal only. Please pay within 4 hours of requesting my pp addy and I will gladly ship within 24. Thanks for looking! Mama to Julia, Ella, Asher and Maya- 3, 5, 7, and 9! Last edited by viettasgirl; 08-28-2012 at 08:29 AM. I would like the gray sleeveless one and the blue and white longsleeved one. Got it mama- PM'ed you back. Last two are super cute and ready to go!